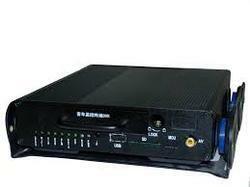 To furnish the ever growing and changing desires of our customers, we offer an exceptional plethora of Mobile DVR. In line with the trends and evolutions taking place, these offered DVRs are broadly treasured and cherished. As well, the complete consignment is well reviewed before finally getting shipped at the end of our customers. Incorporated in the year 2011, Hawk Enterprises is one of the principal entities engaged in Project Integrators an inclusive variety of products comprising Analog IR Weather Camera, CCTV Array Camera, Wide Dynamic Range CCTV, Mobile DVR and Camera, IP Camera, Video Door Phone, Home Security Products and Security Systems Accessories. Made-up and designed with supremacy, we assure that only supreme-class basic components altogether with hi-tech machinery are utilized in their development process. Also, the final consignment is well-reviewed before final delivery at the doorsteps of our customers. We also offer these products in a diversity of sizes and stipulations to meet with our clients’ specific demands.